Such a great combo for yourself or for gift giving! 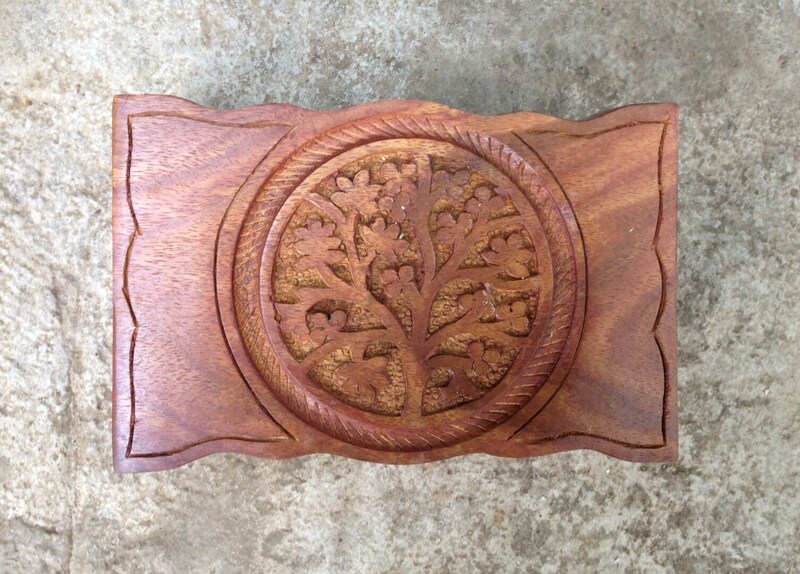 A beautiful Tree Of Life 4 x 6 inch carved Indian rosewood box with a 2 oz. bag full of our Everyday Hearth & Home Smudge Blend! 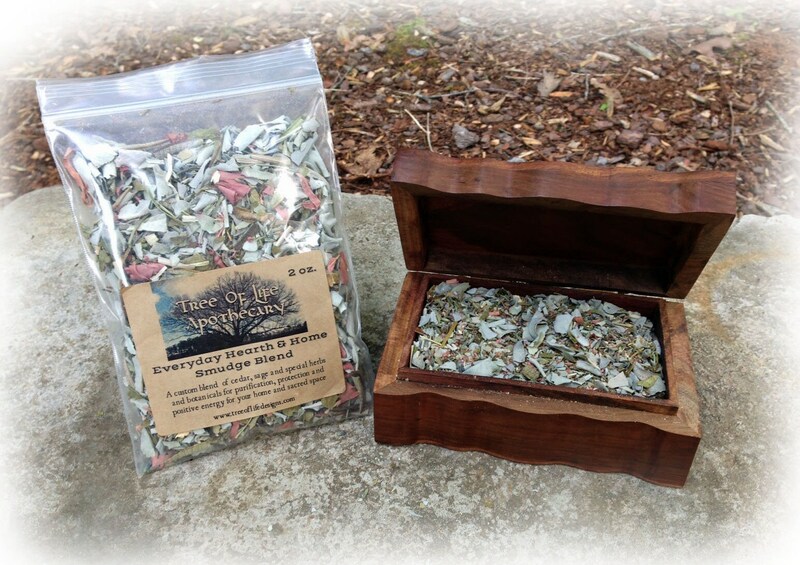 Our own custom blend of white sage, cedar, lavender, sweetgrass, and special herbs and botanicals for purification, protection and positive energy for your home and sacred space. Smudging is a common vernacular for the sacred smoke bowl blessing, a powerful clearing and cleansing technique for your body, tools, crystals and home. Smudging is a recommended and welcome practice on a frequent basis to clear negative or stagnant energy, or to purify the air during and after illnesses of all kinds. Also a wonderful tool to cleanse new items entering your home, or after visitors exit, to neutralize and charge the air with positive energy. We originally developed this special blend of herbs for our own personal use in our home to calm and cleanse after a long hard workday, a natural mood elevator, and before sacred ceremonies. Our friends, family and visitors loved the scent and the happy and soothing effects so much, we decided to share it with loved ones, and ultimately, the public! We craft and blend our heavenly smudge with our hands in small batches in our sacred space and with healing and loving intent. Our ingredients are sourced from sustainably harvested and wildcrafted sources in North America, including our own land, as much as humanly possible. 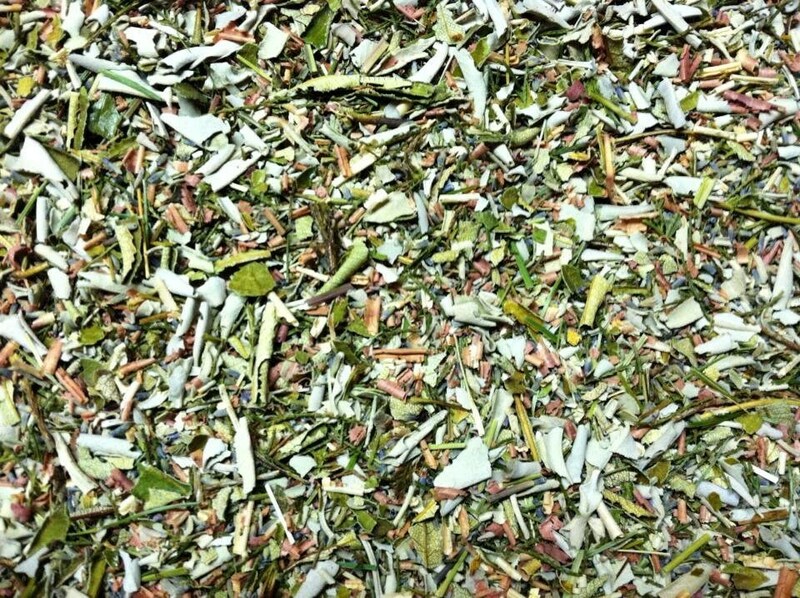 The main ingredient in our blend is white sage from the desert Southwest. We include eastern red cedar, juniper leaves, lavender blossoms, yerba santa, and sweetgrass, to encourage uplifting energies. From our home in the foothills of North Carolina to yours...happy smudging for your health and wellbeing!